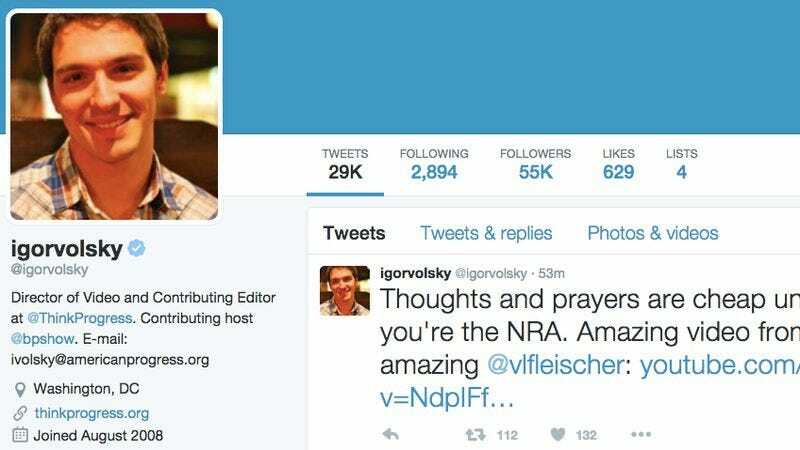 Today, New York Magazine notes that no politicians listed responded to Volsky, although some did take down their tweets or blocked him. Igor Volsky, your internet pals over here salute you. And are calling their congresspeople.